Companies do not sell products and services merely to consumers. In many cases, sales representatives facilitate transactions between manufacturers, and other wholesalers, governments, nonprofits, and businesses. Therefore, the sales representative job description below explains the duties of these professionals. As well as the needed skills and knowledge for being able to perform the sales representative job. What Does a Sales Representative Professional Do? Sales representatives attempt to generate sales of products and services to businesses, governmental agencies, and other organizations. To adequately sale products or services requires knowledge of the products, services and the needs and culture of the prospective purchasers. Locate prospective customers from trade shows and conferences, business directors, and referrals from existing customers. Visit customers’ plants, distribution centers, and other facilities, also, explain the product’s uses to customers’ employees. Suggest how the company, its products, and services can meet customers’ needs. Also, describes the characteristics and uses of the company’s products and services to current and potential customers. Negotiate price, delivery and other terms of sale to customers. Prepare contract and order forms, and explain payment policies of the company. Verify delivery of promised goods or services, and track payment history or status of customers’ accounts. Also, consult with retail companies or stores about display and placement of products and promotional literature or signs. Customer Service Skills. The sales representative job description includes prompt and straightforward answers to questions and concerns when helping the customers’ staff use the product or service. Interpersonal Skills. This professional must have the ability to build relationships with current and potential customers, suppliers, distributors, or supervisors. That can be done by continually responding to customers questions and building familiarity with them, their business, and their needs. Persuasive Skills. Sales representatives must be able to convince customers to purchase goods and services. This involves the ability to clearly explain the uses and benefits, and how the offering will enhance the customer’s own business or operations. As well as leveraging pricing or payment options to fit the customer’s financial situation or concerns over the ability to afford the product or service. Research Skills. This entails the ability to retrieve information about competitor’s products, services, prices and other features. Representatives must also stay informed about regulations, economic conditions, industry and general news that affect the company and its offerings or the customer. The sophistication and technical nature of a company’s products or services impacts the education and experience needed of a sales representative. While the qualifications may differ by company or industry, sales representatives generally must acquire business, marketing, communication and customer service skills. For sales representatives in nontechnical businesses, a high school diploma generally suffices for minimal educational requirements. Employers in these fields may prefer applicants to have at least some post-secondary education. For a representative seeking to work for a scientific, engineering or technically-oriented company, the sales representative job description includes having a bachelor’s degree in a relevant field. Representatives who work in pharmaceutical firms should major in biology, chemistry, biochemistry or a health field. While for manufacturers of durable goods and equipment, an engineering degree or business degree with concentration or classes in operations management may prove very helpful. As companies operate globally, sales representatives should take some foreign language classes in high school and college. Other helpful courses include business, sales, marketing, economics, and communications. Training for new sales representatives may last up to a year, depending on the company. Subjects typically encompass the features of the goods and services, as well as manufacturing or other facilities of the company. Also, the history of the company, marketing and distribution and pricing policies, important for all new employees to know. Trainees also work alongside more experienced representatives in conducting sales calls and obtaining orders. Companies who produce technical or specialized goods may seek applicants with prior experience in sales, marketing, the particular industry or a combination thereof. For example, sales representatives for agricultural firms should have some sales experience in the agricultural field, such as with farm supply or equipment companies. Prior work on a farm or with an agribusiness in non-sales capacities may also help. Candidates without prior sales experience may highlight on their resumes or interviews previous jobs skills like persuasion, communication, and being able to work in a team. Such positions may include customer service representatives, clerks, or members of production, marketing, or construction crews. Sales representatives normally work full-time. With technology, these professionals can perform many of their tasks in an office. Moreover, in addition to telephones, sales representatives possess the ability to email, text, instant message or “chat” by video or the Internet. Customers receive proposals, order confirmations, and sales contracts via computer. Notwithstanding the existence of a cyber infrastructure for these professionals, the sales representative job description also includes in-person meetings and travel. Destinations for sales representatives include the plants and other facilities of customers. Representatives with broad territories may spend days or even weeks at a time away from home. Trade shows, conferences, and training sessions also require representatives to travel and have overnight stays. The U.S. Bureau of Labor Statistics projects an increase of seven percent in the hiring of “Wholesale Sales and Manufacturing Representatives” by 2024. This represents an additional 117,200 positions by that time. Among non-technical and non-scientific representatives, the increase should stand at six percent. While employment of representatives who deal in scientific and technical products should rise by seven percent. 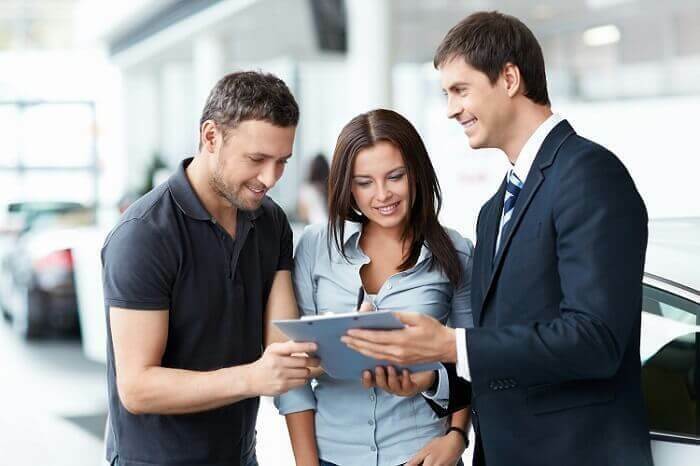 Sales representatives should find ample job opportunities with manufacturers and wholesales, as the sales representative job description includes a significant amount of in-person contact and travel. Thus, companies may be less likely to outsource this activity to agencies or others outside the United States. Jobs among independent sales representatives in the “wholesale electronics markets” could jump by 26 percent through 2024, says the U.S. Bureau of Labor Statistics. As a measure to reduce their own costs, manufacturers and wholesalers may turn to independent agencies to represent their products. Moreover, after gaining enough experience, this professional can even look up to a promotion as a sales coordinator. Finally, sales representatives need to bring knowledge and experience with the types of goods and services they offer to potential purchasers. With highly technical and sophisticated items comes a need to understand the mechanics or concepts behind them. Those with education in science, technology, and engineering can find opportunities with companies to distribute these types of products, especially with independent sales agencies.